Meeting new people can be a difficult process, especially in real life. The Internet has changed (for both good and bad) the ways in which people meet offline. In the last decade, online dating has gone from being something for weird pariahs to a commonplace and expected part of the social scene. For a lot of people, especially women, online dating can be problematic. Sites without paywalls tend to focus on hooking up, and have little if any way to weed out predatory members. Women who use these sites can generally expect a deluge of unsolicited, poorly written, and sometimes outright hostile messages from men they want nothing to do with. A lot of these problems also exist on sites with paywalls, you just have to pay for the privilege of being harassed. Siren, a dating app launched by Seattle based artist Susie Lee, puts the power in women’s hands. Women’s profiles aren’t sitting around, waiting for men to find them, but are only shared with men they’re actually interested in talking to or meeting. Siren does this is by eliminating the more traditional profile page full of over-sharing and pointless lists of interests. Profiles are only allowed one, black and white photo in order to put the emphasis on communicating through words. Users answer questions of the day, and if a woman finds somebody else’s answers interesting, she can start a conversation. Siren eliminates the “meat market” aspect of other dating apps, where users basically shop for other people. It requires more work on the part of the users to actually make connections, expecting them to express themselves, and be themselves. As the core of the experience was designed by an artist, it’s also a work of art in itself, once which criticizes the standards of dating and human interaction. It criticizes power and gender roles by giving women a space in which they are the primary users, not men. 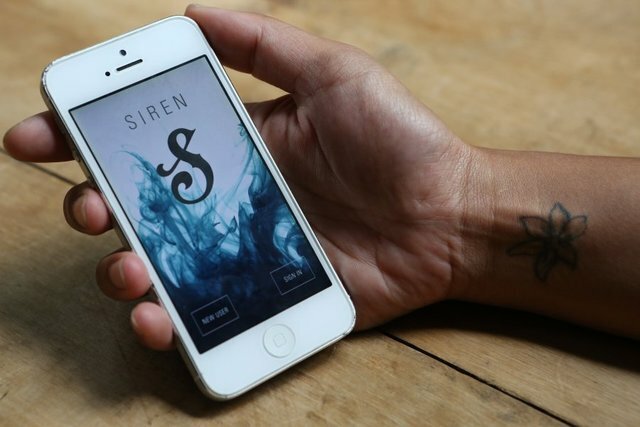 At the moment, it’s primarily focused on heterosexual encounters, but Siren is working to determine the needs of the LGBTQ community, and adapt the app to meet those needs. Featured Image Credit: Ken Lambert via Siren.